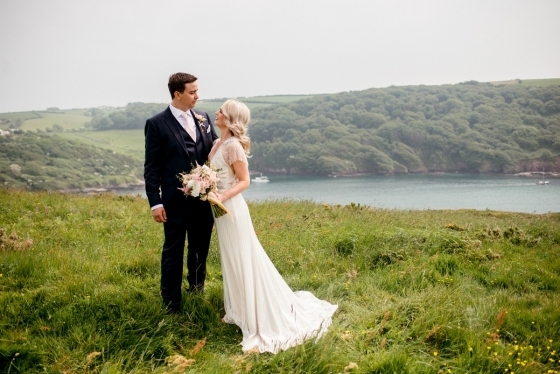 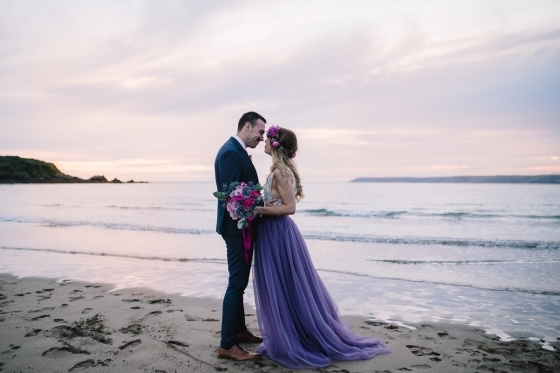 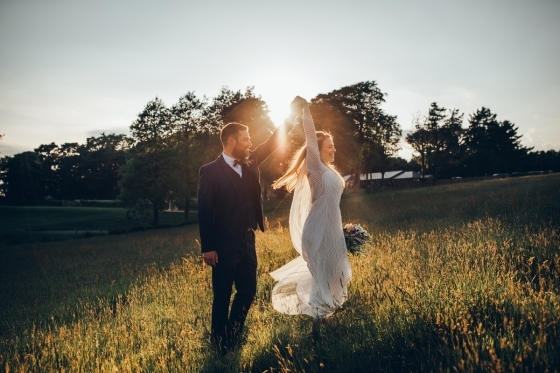 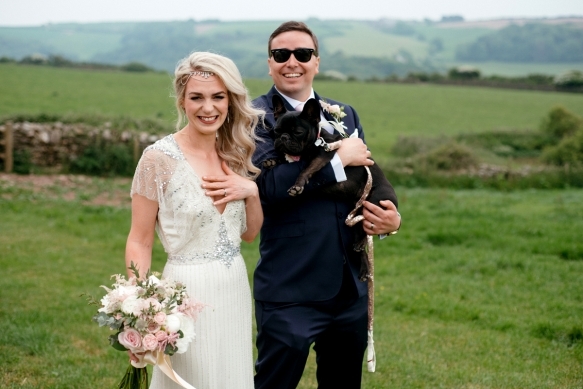 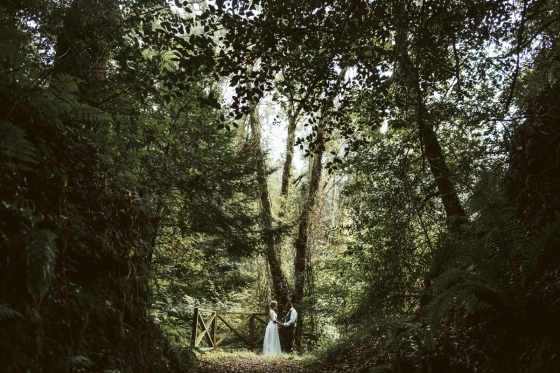 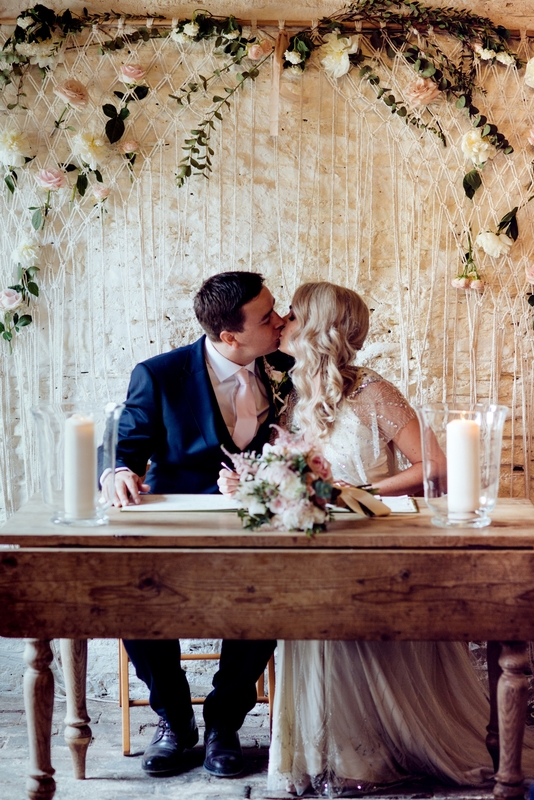 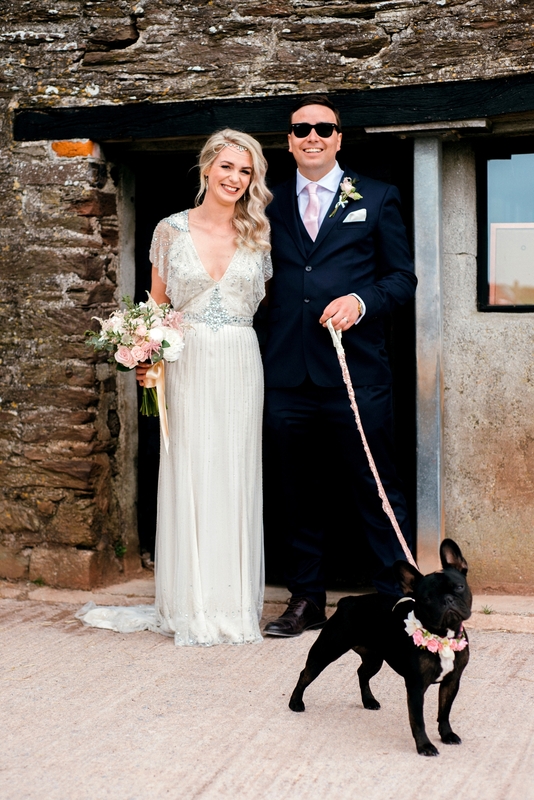 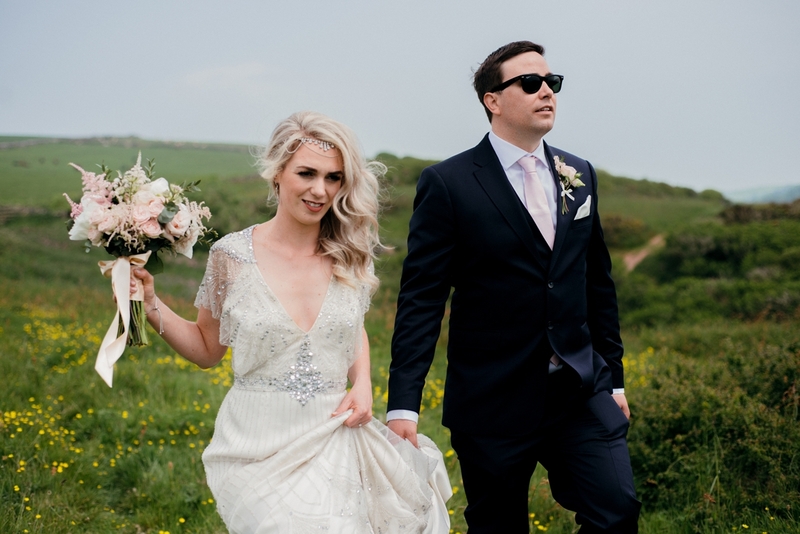 Maria and Joe first met while both working at a bar on Plymouth’s Barbican, embarking upon their first date together a year later. 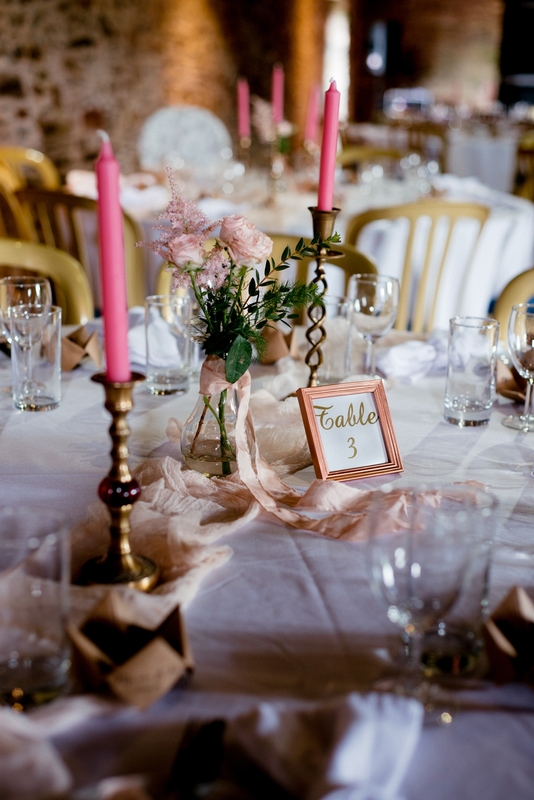 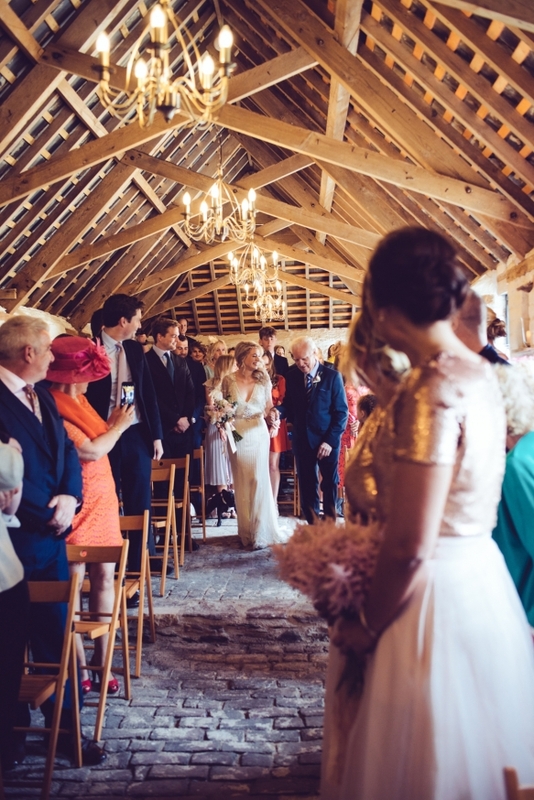 Settling on New Barton Barns as a venue to reflect their shared love of the coast, a blush pink and gold palette featured in the handmade decorations and blooms; Maria even individually hand-dyed the ribbons used in the flower arrangements using a natural technique with avocado stones and skins. 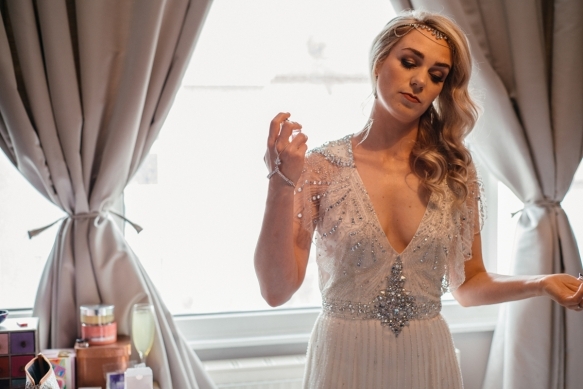 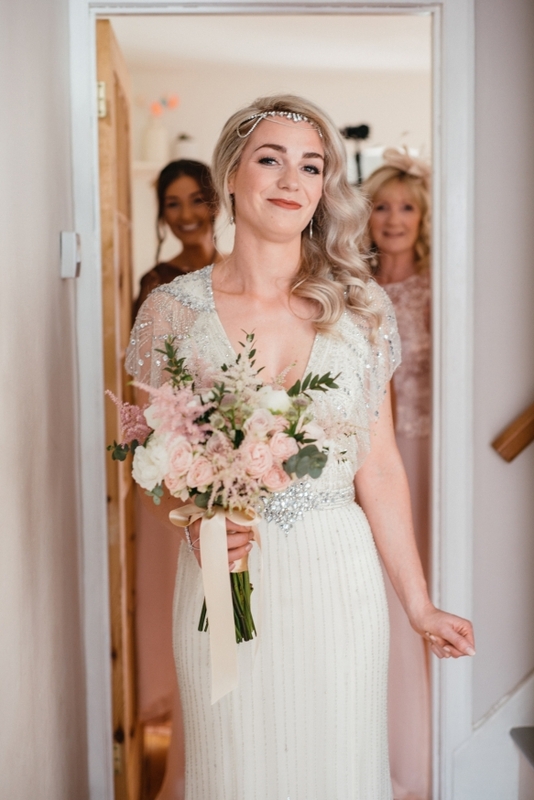 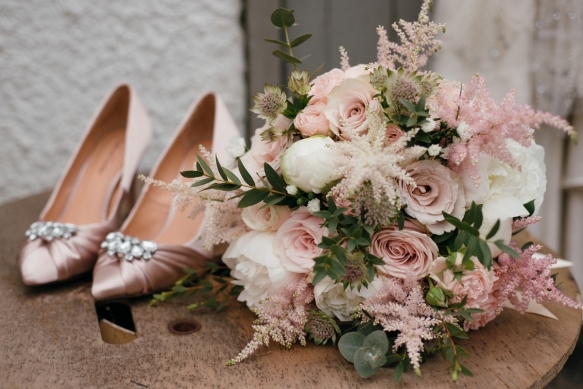 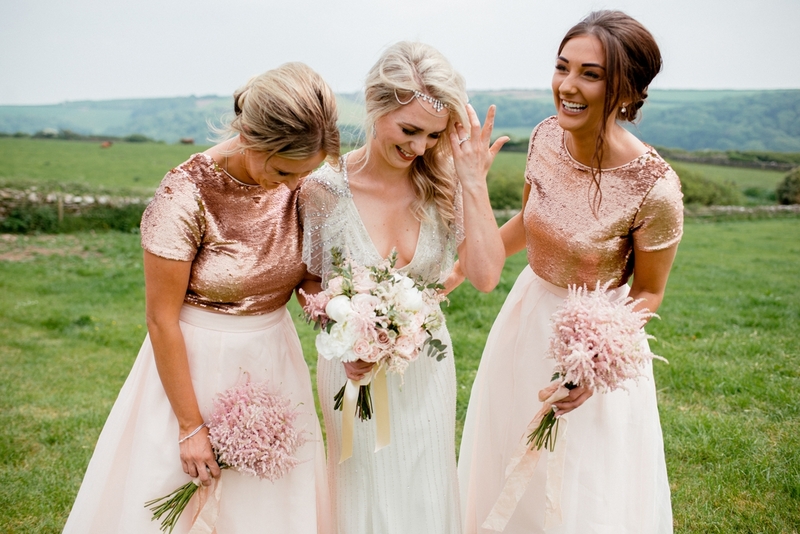 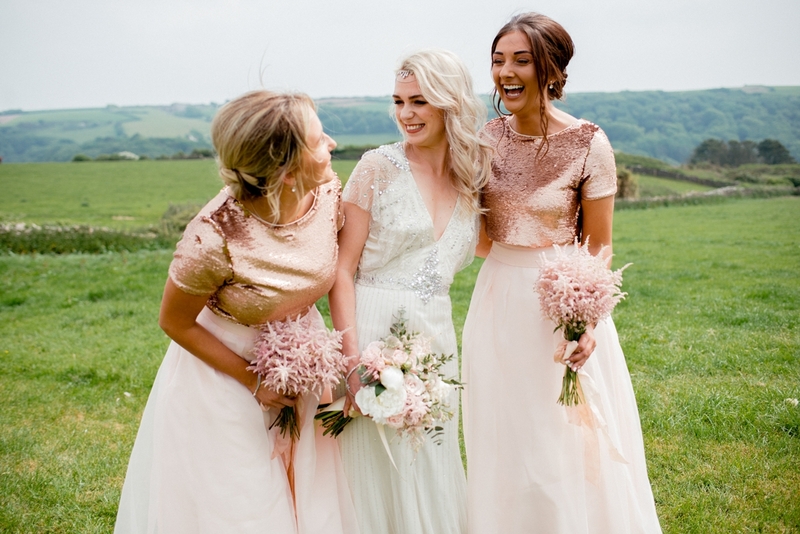 Completing the romantic aesthetic, she wore an exquisite Jenny Packham gown speckled with glittering detail, while the bridesmaids wore two-pieces in shimmering rose gold and blush pink teamed with delicate pink bouquets. 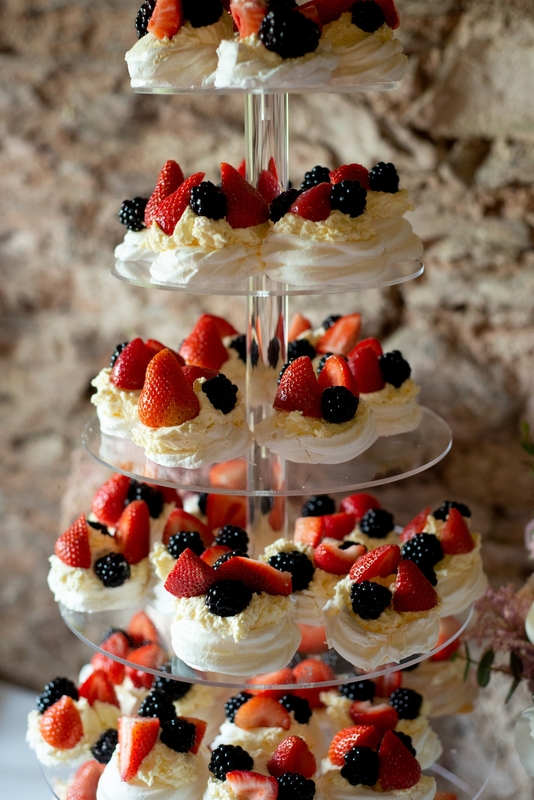 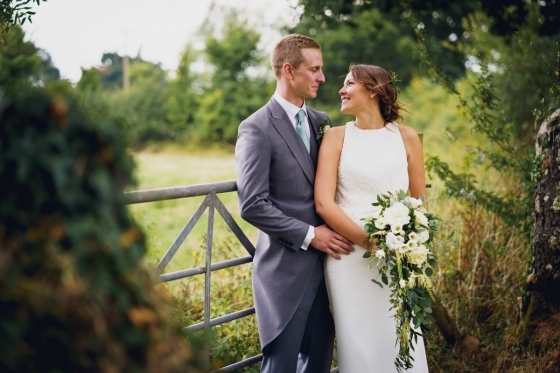 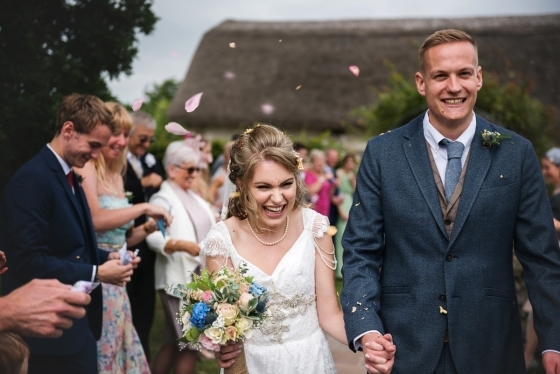 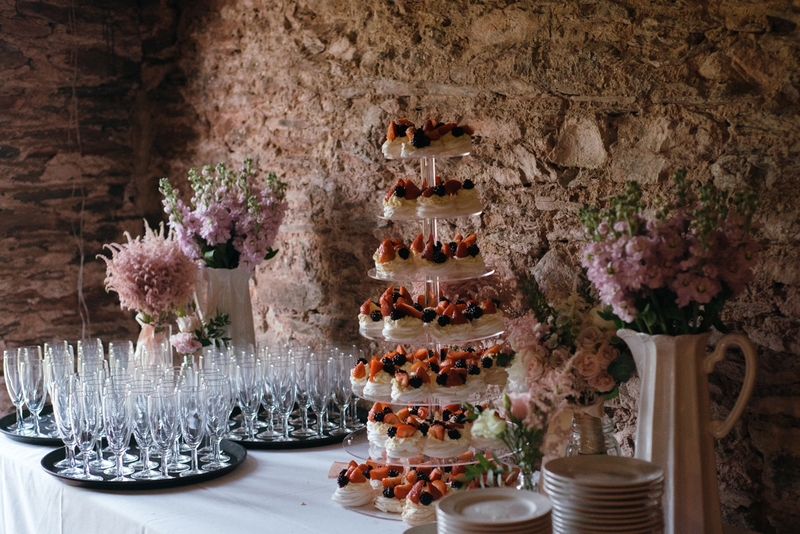 Following the ceremony, canapés were served with Prosecco, Pimm’s and beers in the courtyard, after which guests relocated to the lower barn for the newly-weds’ joint speech and wedding breakfast. 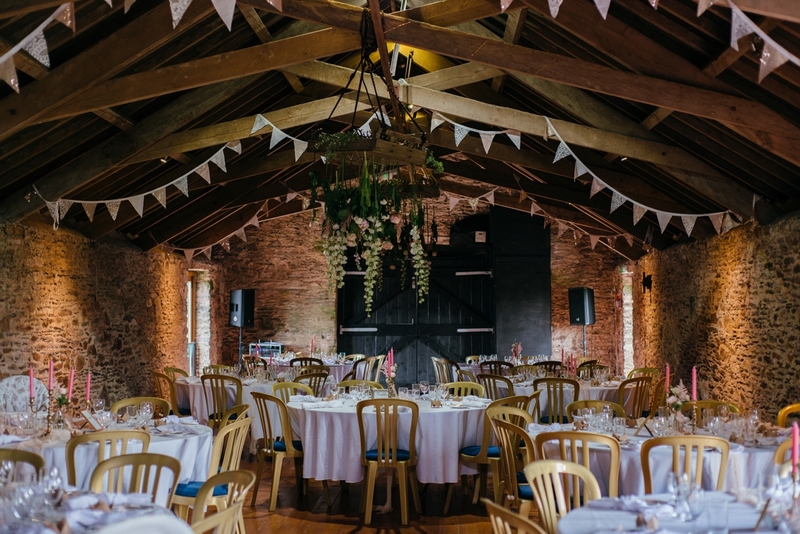 Sharing boards whetted appetites for a sumptuous main course of chicken breast 'poach grill' asparagus, wood mushroom truffle, and slow-braised ox cheek. 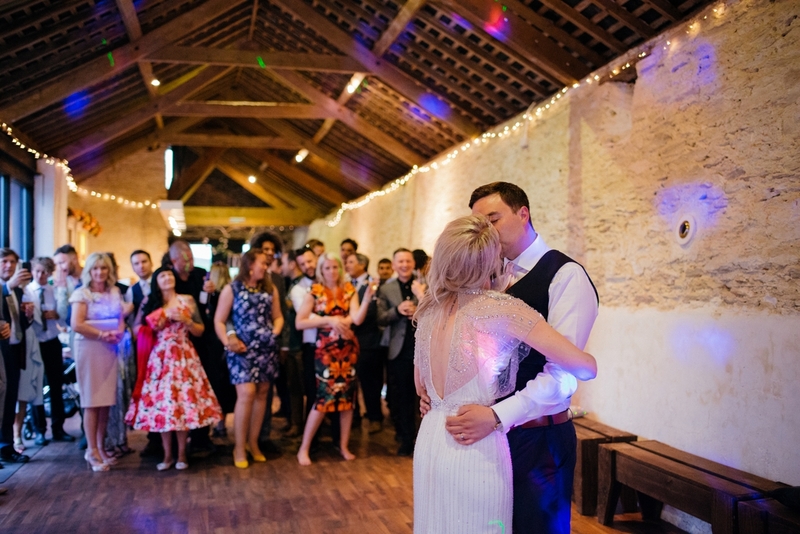 The evening combined a lively funk and soul set by Joe’s DJ-ing friends with a feast of freshly cooked pizzas in the courtyard.